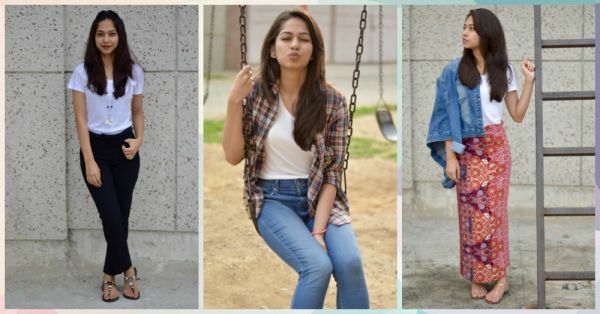 #FashionDiaries: How I Styled The Same T-Shirt In SEVEN Ways! I love wearing my ripped boyfriend jeans more than my basic blue jeans. So a plain white tee with my distressed jeans is the most basic look and it can never go wrong. I wore a scarf with it to add some colour and break the monotony! Monochrome is everybody’s favourite for work. I’d usually go for my white buttoned shirt for a formal look, but I tried my white t-shirt this time. And I think it worked quite well too! It’s comfortable and looks formal at the same time. Plus, it’s totally chic! 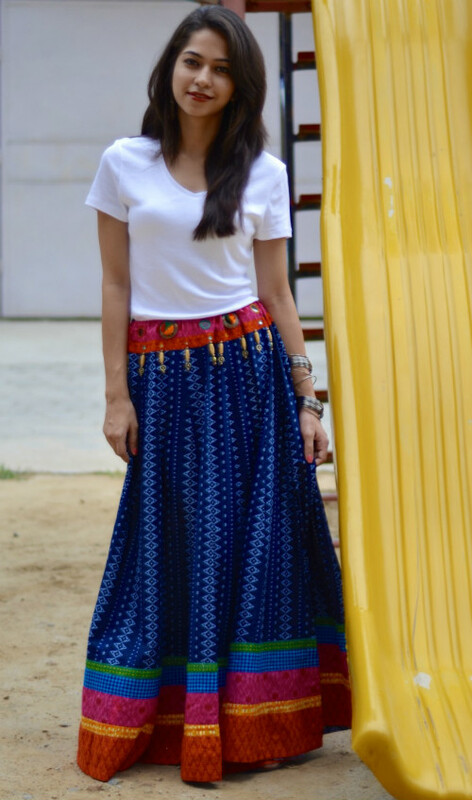 I usually wear this maxi skirt with an ethnic top but it looks good even when paired with a basic t-shirt. 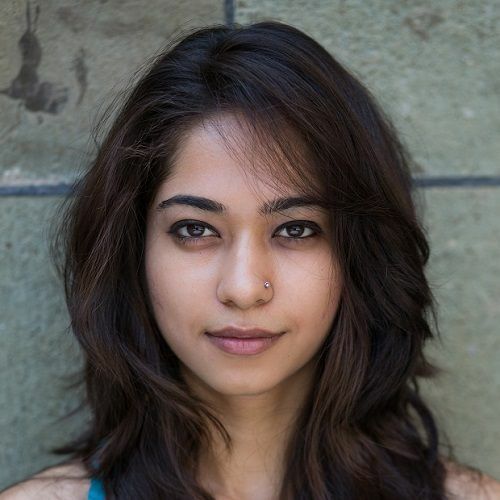 I think it’s perfect for the days you don’t want to go overboard with the whole desi girl look. Since my t-shirt is so basic, I paired it with these magenta-orange pants. The simplicity of the t-shirt automatically draws all the attention to the pants. I think this look works quite well for a casual outing with friends. Also read: #FashionDiaries: I Got 5 FAB Items Stitched For Just Rs 1,350! 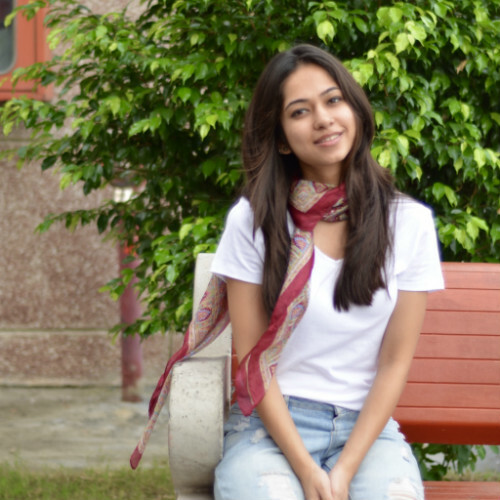 A plain white t-shirt, high waist denims and a checked shirt. Three basic things put together that can’t go wrong! This look is so comfortable and perfect for the days I can’t make up my mind about what to wear. I absolutely love the fact that white is a neutral colour! My printed wrap around looks great with this t-shirt. No more spending ages deciding what to pair it with. I wore my denim jacket with it to complete the look. It’s perfect for me since I like to keep it casual and be super comfy in my clothes. Also read: #FashionDiaries: I Turned A Dress Into TWO Tops – No Stitching! 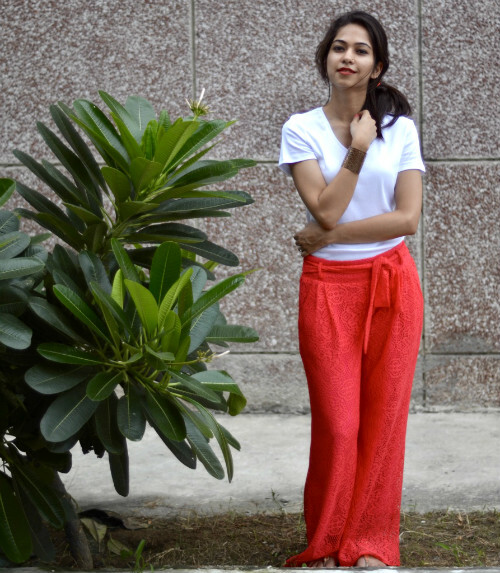 I paired my tee with black trousers and it looks like a perfect semi-formal outfit for work or any occasion. I think it works great for the days you want to head out for dinner with friends after a long day. Just add a swipe of red lipstick and you’re ready for the evening! I had a great time styling one t-shirt differently! I think it’s a great idea for all of us who live on a budget or just want to make the best use of every piece of clothing that we own. I came up with the most basic 7 ways to style this t-shirt. I’m sure you can come up with SO many more!!! So what are you waiting for? Get started and have fun styling!